Today on the blog I have Amelia, Jackie and Hollie, the three ladies (mother and daughters) who make up Audenza an online retail shop aimed at fearless decorating, eclectic and beautiful items for your home. I've had the pleasure of meeting all three ladies (they are absolutely lovely), they shared hosting a hashtag with me a year or so ago and the products they sell are simply outstanding. It's an interesting journey, they've been going a while and shave some great advice on growing a business organically. You can shop Audenza here. Originally called MiaFleur, and launched in 2012 by Jacqui, Hollie and Amelia Brooks. Audenza is a multi-award winning online homeware boutique; created to add edge, style and interest to the homes of interesting people. 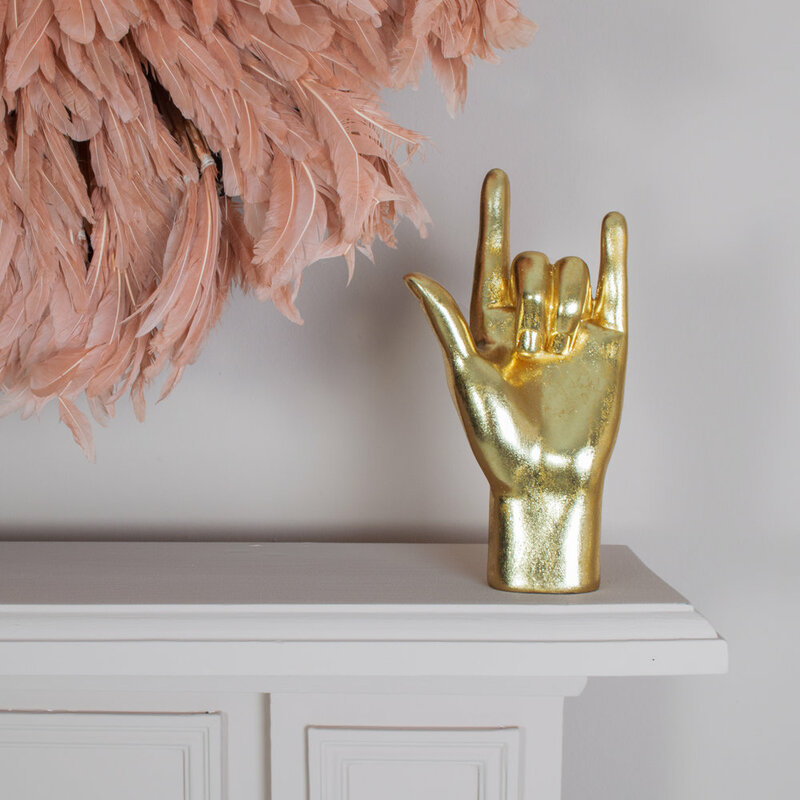 Selling a fabulously quirky selection of homewares which ooze character and scream fearless style. Think iconic, bold and statement furniture, accented with eclectic, unique and ever so slightly eccentric home accessories. ‘Audenza’ is derived from Latin, meaning to be audacious, daring, bold or courageous. Exactly how the ladies behind the company feel you should approach decorating your home. Jacqui is a former potato merchant (yes, really! ), a textile designer and a mum of 5. She has always been creative and whilst working alongside her husband to run the potato business, and raising 5 kids who were only 2 years apart, managed to get through three years of full time education, to gain herself a degree in Textile Design. Hollie studied Fashion and Textile Management at University, and as well as textile manufacturing, her career experience also lies in sales (such as within a contemporary art gallery, selling paintings ranging from £200 up to £50,000). Amelia takes much more after Jacqui and studied Textile Design at University, with a specialism in embroidery. Her work was among a handful of students selected to exhibit at an industry event at the NEC and her final degree work inspired our first cushion collections. The business was then launched shortly after Amelia graduated. For me personally (Hollie), I always knew I would run my own business. It wasn’t a case of ‘if’, it was simply a case of ‘what’ and ‘when’. At the ages of 5 and 9 respectively, Amelia and I actually formed our first business – creating dance shows and selling tickets to friends and family. The business took off, but with ticket prices reaching a ceiling price of 50p, we knew we’d have to think bigger. About 5 years later, Amelia and I formed our second business – car washing in our local area. With the pretty ingenious idea of telling prospective customers that they could pay whatever price they felt it was worth once we’d finished, the business took off. Interesting idea actually – we presented customers with a ‘no-risk’ option which made it easy for them to say yes, but we did such a good job that they paid us much more than we could ever have asked for initially (I’m quite sure it helped that we were a couple of kids too). We actually had a spreadsheet with dates of when each house wanted us to come back again! Roll on around 10-12 years and we had been talking about all three of us working together for some time. We wanted to pool our skills, with Jacqui and Amelia taking more of a role in the design and creative side, and myself in the business/marketing side of things. We were all passionate about interiors, and we felt that an ecommerce shop was the best way to go. We started with an office in the spare bedroom of Jacqui’s house. Though we had stock stored anywhere and everywhere! As we grew, we started to rent storage containers to accommodate everything. Eventually, the office and sewing studio took over another bedroom in Jacqui’s house, but we continued to work from there for as long as the business would allow. It was entirely funded by our personal savings. As with many bootstrapped start-ups, growth was slow and organic. But that was the way we wanted it - we had a lot to learn. We kept overheads and outgoings to an absolute minimum and re-invested as much as we could to fund further growth. We recently went through a complete re-brand, which was a costly exercise, but which we were able to entirely self-fund, because we’d built up a pot to be able to draw from. In fact, we actually wanted to re-brand a few years ago, but we held off so that we could afford to really do it properly. Doing that meant that we were able to work with some of the very best people in the business, something which would never have been possible a few years ago. Getting the word out there with very little budget was pretty tough. As an ecommerce store we have no natural footfall; every person that comes to our website, we have had to do something to get them there – people won’t even find you on Google unless you’re doing the right things. So if you have no experience in marketing, it’s no mean feat. This isn’t ‘help’ as such, but once we were ready for the next stage, finding the right premises which incorporated office space and plenty of storage space, as well as good access for lorries etc. was a challenge for us. There seems to be a lack of warehouses which are small enough, with reasonable lease lengths. Something which as we grow I’d like to address as a potential business in it’s own right, with the aim of helping smaller, growing businesses take that first step. 6. What went wrong in your first year? Nothing went wrong per se, I don’t think. We just made an awful lot of wrong decisions! We were quite tough on ourselves, but in reality we all make mistakes, especially when you have never run a business before and don’t have any experience in marketing, PR, photography, web design, branding etc.etc. But the most important thing to do is learn from your mistakes, move on and keep persevering. You have to do what is right for you. For instance, Instagram could be a big driver of awareness and revenue for us, but it’s not a primary marketing focus for us. I enjoy interacting with others on Instagram, but I found that being on there every day made me resent it. So I currently only post a few times a week. On the other hand, I love PR – it’s something I felt a natural affinity to, and we seem to have done very well with press coverage from the early days. Which shows that if you focus on the things you enjoy, they’re also likely to be areas you’re good at, and will excel in. Mind-set is everything. It takes an enormous amount of motivation and self-belief to start and run a successful business and if you let it, things can and will, get on top of you. But it’s imperative to keep a positive and determined attitude. So find what works for you. Personally, I’ve found meditation and techniques such as gratitude journaling to be a huge help. There are so many fantastic podcasts and books out there too. I’m currently reading ‘How to be Brilliant’, which is… brilliant! I love sourcing new products and seeing how they develop. Even if it’s not one of our own brand designs, to see something go from ‘just a product’ which is then styled, photographed and brought to life is so inspiring. To then hear that it’s had the same effect on our customers is incredible. I think that’s hard to quantify really; every day is different. Sometimes, the work feels insurmountable, but other days the thrill and buzz of doing it for yourself is like nothing else. I think the thing we still struggle the most with is work life balance, but we’re working on that! We’d never have been truly happy unless we were working for ourselves though. Nicola says " Hollie makes some very good points about how to grow a business organically. It's very easy to buy, to kit out your business with all the bells and whistles, but very hard to sell. Taking your time to grow, re-investing you profits, allows you to stay in control, while your brand takes it's time to get accepted and your marketing effort increases. This way you can fund the business yourself, without the need for investors or loans. There is nothing wrong with using outside cash, but it depends entirely on what YOU want to do"
"I also love that both Hollie and Amelia were such budding entrepreneurs at an early age. We don't encourage our children enough in this area, although I am seeing more focus on entrepreneurship in the University student community these days"